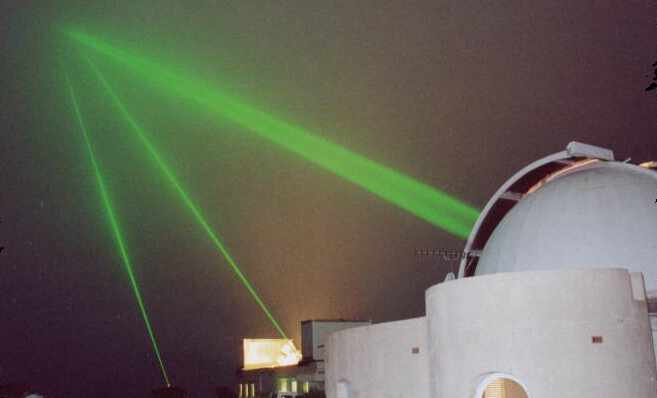 Since 7 June 2010, the Paris Observatory and Côte d’Azur Observatory have been firing lasers into space—more specifically at the T2L2 instrument on the Jason-2 satellite. The purpose of this experiment, coordinated by CNES, is to synchronize two remote clocks with unprecedented levels of precision. Six times a day, from June to September, very short pulses of light will be transmitted simultaneously from the Paris Observatory and Côte d’Azur Observatory to the Jason-2 satellite in orbit. Credits: Observatoire de la Côte d’Azur. 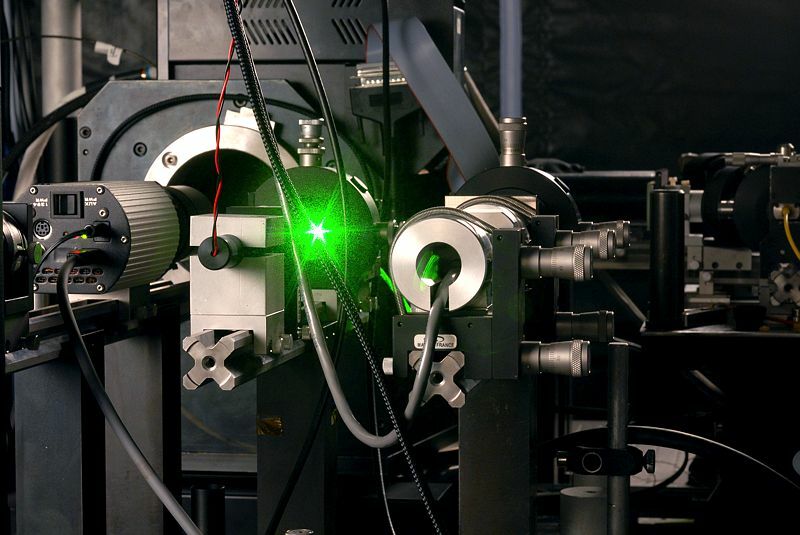 With this combination of instruments, scientists now have two laser stations linked to two cold-atom clocks—an “ideal scenario” in horology—and will now attempt to remotely synchronize them. To do this, they will use the T2L2 instrument (Time Transfer by Laser Link), developed by CNES and the Côte d’Azur Observatory and currently on the Jason-2 satellite. 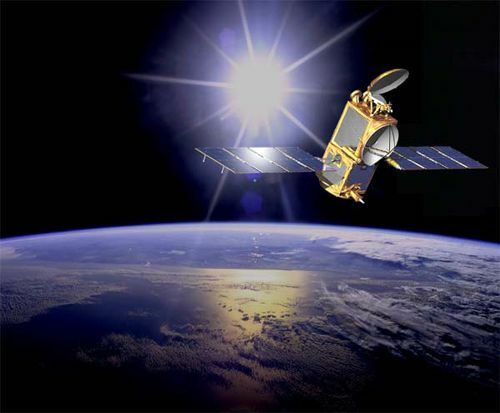 CNES’s T2L2 instrument is on the Jason-2 satellite at an altitude of 1,336 kilometres. Credits: NASA. Each station transmits a short laser pulse to the Jason-2 satellite. The T2L2 instrument detects the pulse and time-stamps it. A laser retroreflector2 then relays the pulse back to the stations on the ground,” explains Philippe Guillemot. With these three timestamps—transmission, arrival at the satellite and return—it is possible to calculate the time as measured by the two clocks, located 800 kilometres apart, and in turn synchronize them. What’s new is that T2L2 does this with an accuracy of 1 picosecond (0.000.000.000.001 seconds). With T2L2 on the Jason-2 satellite, clocks in the future could be synchronized by laser link. Credits: CNES/E. Grimault. Clocks today offer remarkable levels of performance, but the systems that measure them are not quite so advanced. To draw a parallel, it’s like a watch that measures time to the nearest second but only has an hour hand,” continues Philippe Guillemot. Currently, researchers use microwave-based systems like GPS to synchronize clocks, as opposed to optical signals. With T2L2, we expect to increase measurement accuracy by one or two orders of magnitude3. 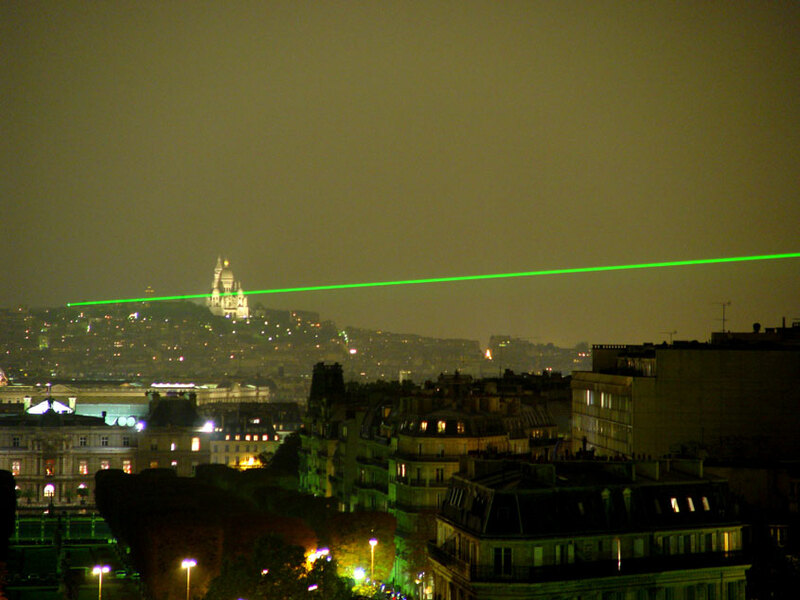 The Paris Observatory will continue the laser pulse experiment throughout the summer. Credits: Observatoire de Paris-Meudon/D. Monseigny. Why are these levels of precision necessary? Laboratories use atomic clocks to conduct advanced research in fundamental physics, for example to test certain principles of Einstein’s theory of relativity. T2L2 is capable of time measurement with picosecond accuracy. The laser cross-calibration experiment over the summer will test its performance in practice. “I can’t wait to see the first results!” admits Philippe Guillemot.